I love reading "Oh, the Places You'll Go" to my kids. Seuss manages to gel his crazy illustrated lines with his lines of text swimming in hope and reality. For a small kid that knows little of the world, I suspect it's more sci-fi than inspiration, but everything hints at something yet to be discovered. Only I, the reader, arrogant in my life experience, can laugh secretly at the truths of lofty goals and downright dejection. But I shudder when I read the page about Waiting. "Everyone is just waiting. ... But that's not for you." Black skies and bored faces. It's a dark and dreary world, allegedly. But I want to skip that page. I want my kids to wait. Waiting is one of my favourite things. When I wait, the world stops - not the world around me, but the one within me. I stop making plans, stop feeling fears, stop wondering who I am. I can wait and watch, clear an empty space, reconnect with everything that's not-me, rejuvenate through holes. Waiting is witnessing is wisdom. 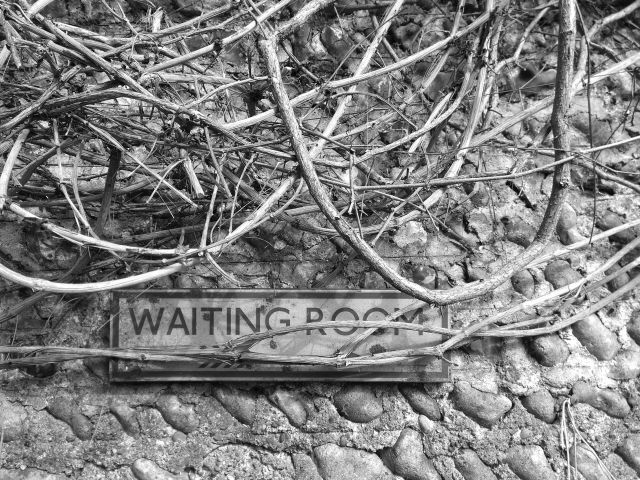 If you wait in the right way. While I'm here, here are some more words I've enjoyed recently. If these men are too interested in Brexit, and they like walking, then they are, in a way, my people. We have the same hobby, we just disagree about how it should be followed, right? But a new dimension to the debate is that of hiking and marching, the idea that your belief in democracy can be performed by marching across the country in a sort of magical performance. For me, the series highlights the difference between urban and rural communities that continues to drive our society. I wonder about the role of London in politics, stretching down to its importance in gatherings such as these. Trying to compare the two marches illustrates just how complex it is to compare the splits in our country. These splits are natural, and probably good, yet we continue to drive wedges between these imagined tribes. Perhaps the walks should start a new effort to walk a mile in each others' steps, now that they've trod their own paths for long enough. On related musings of wanderers, I was fascinated by Wade Shepard's post on why a pseudonuym would have been a good idea. Personal histories are rapidly turning into easily-searchable archives now, and our newly networked content is bleeding out into the real world identities of national states. It's important to see that personal privacy isn't just an issue for teenagers and babies with little control over their presence. It's a debate for anyone that's ever used their real name, whether it's "voluntarily", or within a walled garden with significant gaps.